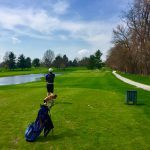 Saturday, April 15, 2017 10:00 AM Place 7 Points 373 Meet Recap The Lancers traveled to Maplecrest Country Club in Goshen on Saturday to compete in a 13 team tournament. LaVille placed 7th on the day while posting a score of 373. 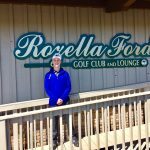 They improved their score from last week at Rozella Ford by one stroke. 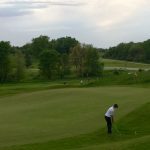 Tuesday, May 17, 2016 5:00 PM Rochester High School AWAY 168 LaVille High School HOME 168 Meet Recap The Lancers shot the best total this year as they battled Rochester Tuesday night. LaVille and Rochester both shot 168, but the Zebras were victorious because their fifth score was two strokes better than the home team. 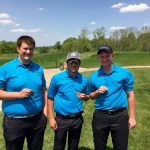 Monday, May 16, 2016 5:00 PM Place 1 Points 173 Meet Recap The Lancers shot the lowest nine hole total of the year on Monday. They shot a 173 and were led by sophomore Jacob Good. Jacob shot a 42, which ties Michael Butler for the lowest nine hole score by an individual this year.